After two years of development and devising by the Barnstorm Acting Ensemble and scripting by Mike Kenny, A Murder of Crows has finished its première run in The Watergate, Kilkenny. It has received a rapturous response from all who have seen it. The cast of Paul Curley, Conor Donelan, Annette Flynn, Sarah Kinlen, Fiona McGeown and Shane O’Reilly, the design team and crew, who brought this gothic story of two children’s journey to the stage, have produced a show that enthrals both children and adults alike. 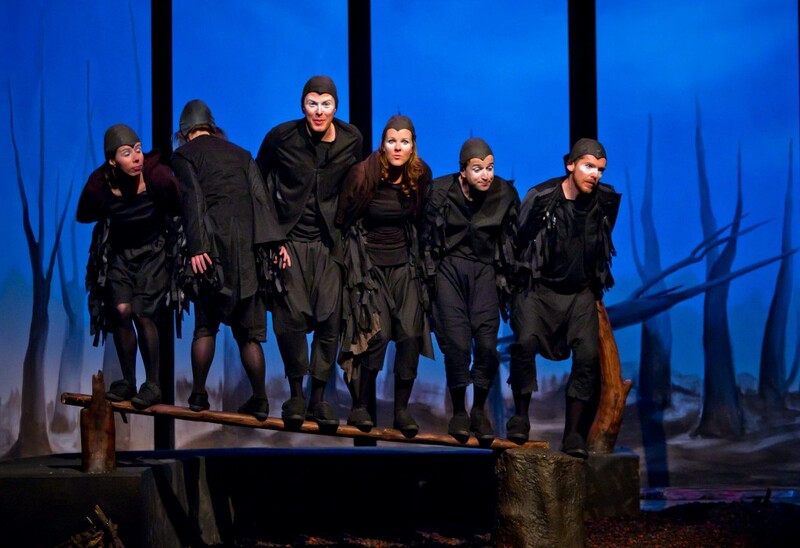 If you missed A Murder of Crows during its first run, don’t worry, A Murder of Crows is back in Kilkenny for one night on Wednesday 26th October, as part of Gathering 2011. All proceeds of the night are in aid of Carlow-Kilkenny NCFA (National Campaign for the Arts) to help campaign to maintain current levels of public investment in the arts. Bookings at The Watergate- 056 7761674. A Murder of Crows will be on national tour in spring 2012.